At Pico we were one of the first test and measurement companies to provide Linux drivers. We hope that these new drivers for the PicoScope 2000, 3000 and 5000 Series of USB Oscilloscopes demonstrates our continued commitment to the Linux platform. These drivers have been extensively tested on Fedora 8, Ubuntu 8.04 and openSUSE 10.3. Please note that the drivers for the PicoScope 5000 Series do not currently support ETS mode. 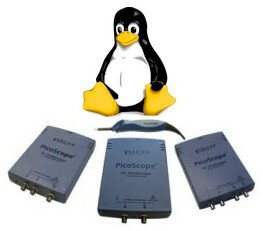 We have now released 64-bit Linux drivers for PicoScope USB Oscilloscopes. These drivers are only suitable for 64-bit versions of Linux. The RPMs have been tested using 64-bit Fedora 8.0.